One of the most popular and powerful Marvel characters is Iron Man. He is a simple man without extraordinary power, but with sharp mind and deep intelligence. Do you know much about him? Well, this quiz is your test, so take your time and complete it. Answer questions about Iron Man and check out the result. 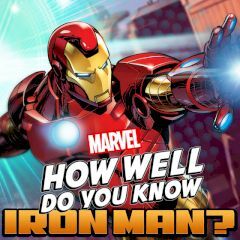 Games Similar How Well Do You Know Iron Man?